Like this but with a thin frame. 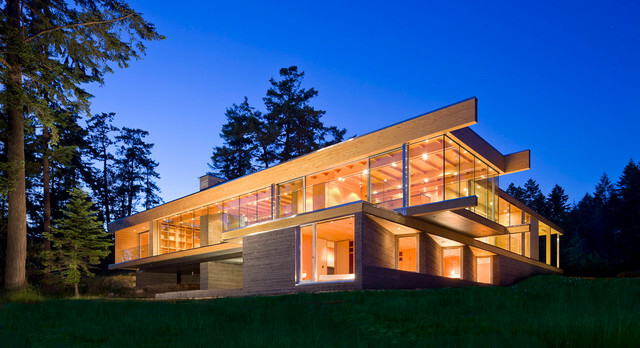 Highlights are sheer glass and Cantilever. Clean lines far too much timber. good layout.